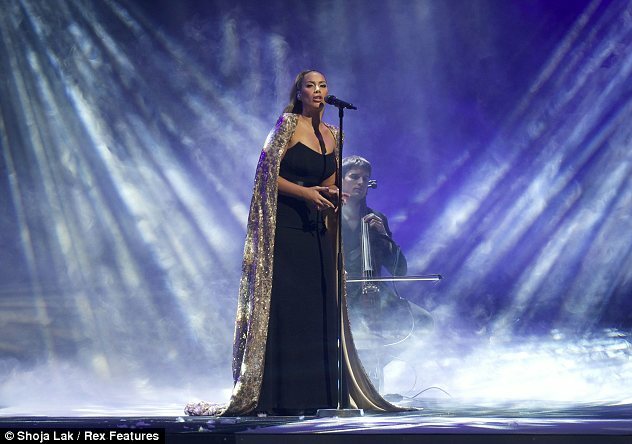 She has a voice of angel, but Leona Lewis looked more like a queen as she had naked men falling at her feet during her most recent performance. However these gents happened to be her male dancers, surrounding the singer as she sung to the audience assembled for the Art On Ice show in Helsinki, Finland. in the middle of the ice, Leona's ethereal voice rang out around the Hartwall arena as champion figure skaters performed on the ice below.